MILAN — Cristiano Ronaldo will undergo further tests in Turin on Thursday as he battles to be fit for Juventus’s Champions League double header against Ajax after picking up a thigh injury on international duty for Portugal. Juventus said initial tests in Portugal had shown "a minor injury" to Ronaldo’s right thigh, with their Champions League quarter-final first leg tie against Ajax on April 10. "I’m not worried. I know my body. 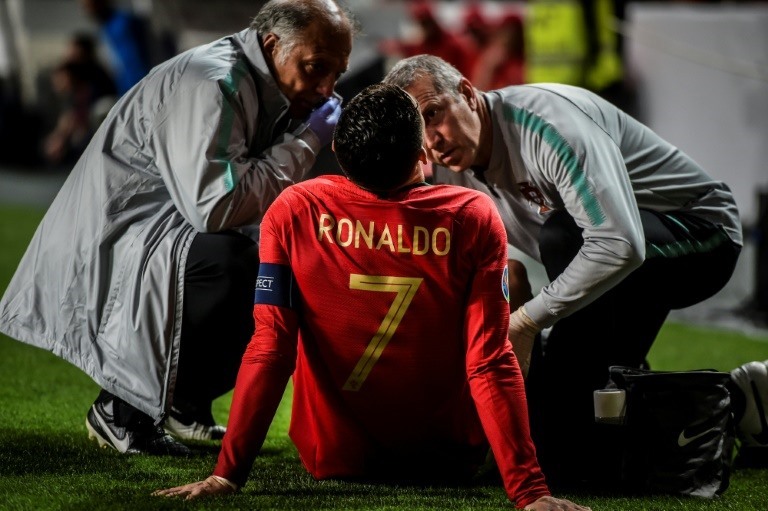 I believe that in no more than two weeks I’ll be fine," Ronaldo told reporters after the game against Serbia.